What is the MBR? MBR stands for Master Boot Record and it’s the first sector of your hard drive that basically tells the BIOS where to look for the operating system on your computer. These messages are definitely not fun, especially if you are not familiar with computers. Most people would automatically assume their computers are dead! However, that’s not true. Being in IT myself, these errors are actually preferably to other types of Windows errors. Why? Well, it’s actually fairly easy to fix the Master Boot Record in XP and Vista. All you have to do is load up the Recovery Console and run a simple command. All of your data, applications, settings, etc are still intact on the drive and once the MBR is fixed, the computer will load normally. 1. First, restart your computer with the Windows XP setup disk in the CD drive. If you don’t have your original disk, borrow one or download an ISO image from a torrent site. 3. 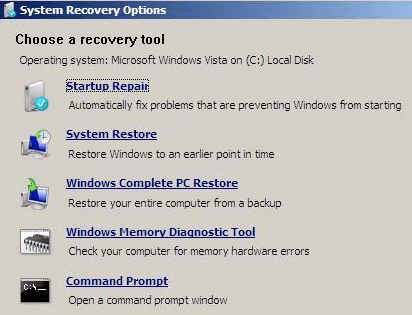 Once the setup loads, you will see the option to press R to repair a Windows installation. 4. Once the Recovery Console loads up, you will have to type in a number that corresponds to your Windows installation. This is normally just 1. Press Enter and then type in the Administrator password. 5. Now at the prompt, type in fixmbr. Your damaged MBR will now be replaced with a new master boot record and your computer should now be able to boot properly. Note that you may also want to run the fixboot command to repair the boot sector with a new one. Also, make sure you only use these commands on a system with one operating system installed. If you have more than one operating system installed, fixmbr and fixboot could mess up everything. In Vista, the procedure to fix the master boot record is a bit different. 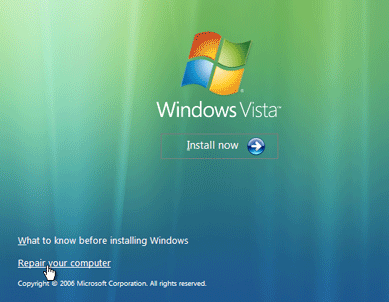 You have to start up Vista in the Recovery Environment and then run the bootrec command. Here’s how. 1. First, load up the Windows Vista disc in your drive and press any key to boot from the disc. 2. Choose the language, time, currency, etc and click Next. Now click on Repair Your Computer. 3. Choose the operating system to repair and click Next. When the System Recovery Options dialog comes up, choose the Command Prompt. 4. Now type bootrec.exe and press Enter. This will rebuild the boot configuration data and hopefully fix your problem. You can also run the command with switches to fix just the master boot record (/fixmbr), the boot sector (/fixboot), or rebuild the entire BCD (/rebuildbcd). If you are still having trouble with loading Windows, post a comment and I’ll see if I can help! Enjoy! No Sound or Audio in VMWare Fusion Windows 7/XP Machine?